Maybe you’ve never been inside an Episcopal church, or are not even sure you could be called a Christian. Perhaps you’ve walked past our church and wondered what goes on inside, or you’ve heard about religious people from the media and you’re wondering if what you’ve heard is representative of Christianity. We hope to give you some background information on Episcopalians so that you’ll feel comfortable enough to come along to a St. Peter’s church service and begin finding out more about us. We welcome visitors; coming along for a look doesn’t commit you to anything. Who can come to a St. Peter’s church service? Anyone! You don’t need to be an Episcopalian or even a Christian to come along. Attending a service doesn’t commit you to anything. We will try to be friendly, but that’s all. We don’t charge membership fees. Please dress comfortably. We are a diverse group of people, so you may see some folks wearing jeans or burnt orange and white (especially during Longhorn season), while others wear suits and high heels. You are welcome just as you are. All baptized Christians are welcome at God’s table. If you would like to receive Communion, please follow the usher’s directions to come up to the altar rail. You may take the bread and wine separately, or you may dip the wafer in the cup. You are welcome to request a gluten-free wafer, or you may opt to receive only the bread or only the wine. If you would like simply to receive a blessing, cross your arms over your chest and the priest will offer one to you. you prefer not to take Communion, you may also remain seated rather than proceeding to the rail. If mobility issues make it difficult for you to walk to the altar, just let the usher know. Communion will be brought to you in your pew. How do I become a member at St. Peter's? Visitors and prospective new members are welcome every Sunday. We encourage anyone looking for a church home to come and be a part of our Sunday morning worship and activities. This is the best way to experience whether St. Peter’s is a place where God is leading you. People who are ready to join simply need to contact the church office to be entered into our database. People interested in joining and who have never been baptized will want to discuss with the Priest-in-charge the process for baptism. Though not required for membership, St. Peter’s encourages all adults to participate in confirmation classes, offered each spring, on the basics of Christian faith and Episcopal tradition, leading to Confirmation by the Bishop. 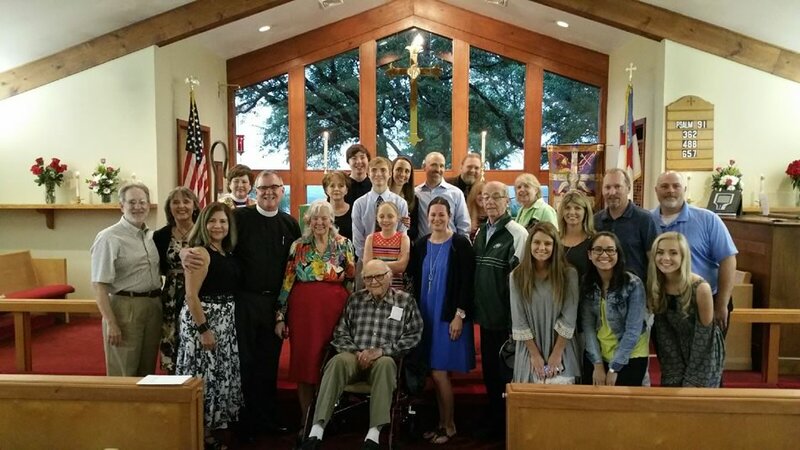 Of course, membership in a church is about more than belonging; it is about being a part of a community where each person is encouraged to share in service to the church and the world through St. Peter’s various ministries and programs.